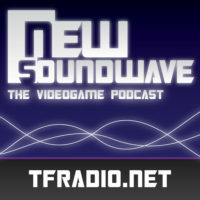 John, Peter, ExVee and Rob return to talk about the new consoles, the 2DS and more. Plus, of course, the random hypothetical. This month John, JD and Brian talk about Transformers Legends, Third Party Transformers Recommendations, tabletop gaming, Mega Man X Street Fighter, WOW: Mists of Pandaria, Superman: Man of Steel, Pacific Rim and more! This month John, Rob and Brian share memories about Mortal Monday and talk about G4 and its fall. This month John and Rob breakdown Fall of Cybertron, the price of Transformer toys, and ponder why Castlevania has fallen from the spotlight. E3 New Releases Art of Videogames Random Hypothetical! Lots more! Max Payne 3 New Releases Minecraft Tekken Film Prequel (WTF!?) Random Hypothetical! Lots more!